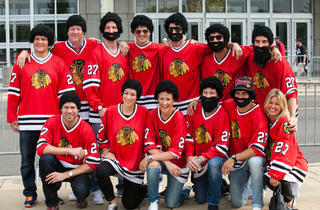 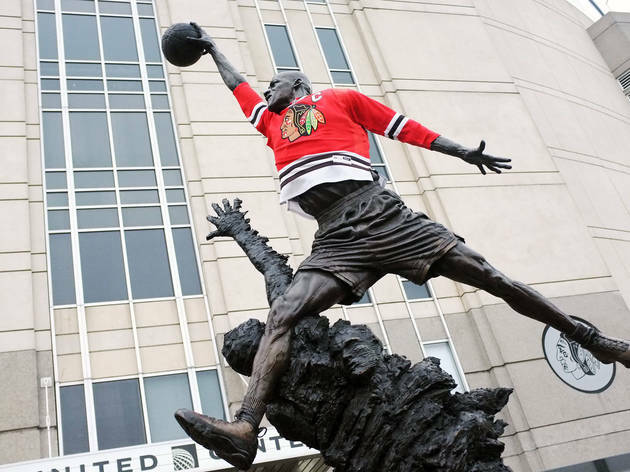 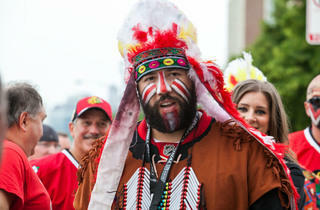 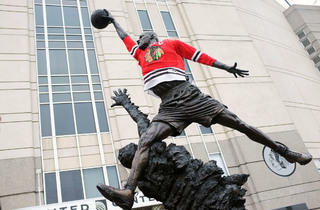 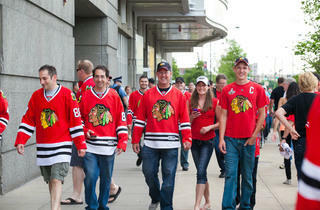 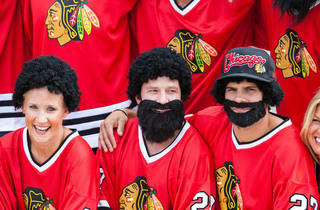 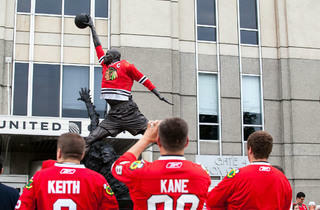 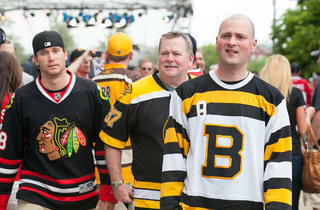 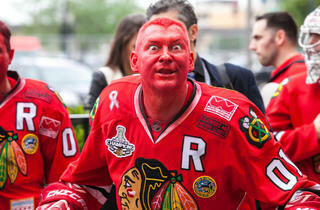 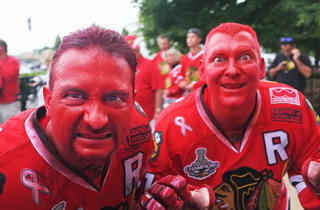 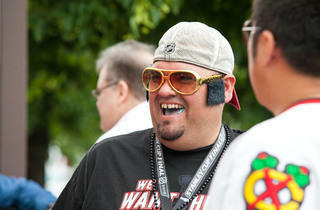 Red-hued Blackhawks fan did some pre-game posturing before Saturday's win over the Boston Bruins. 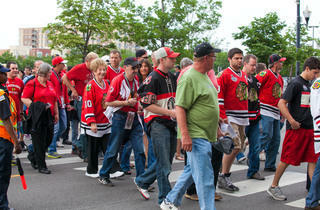 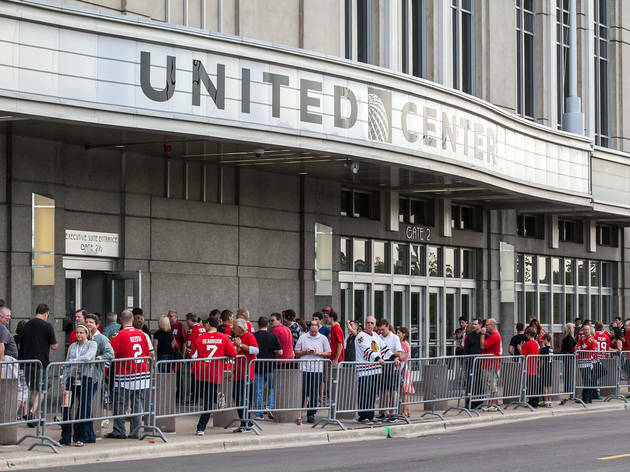 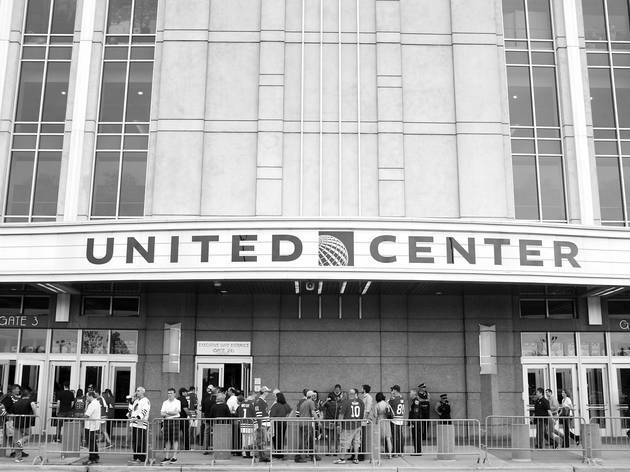 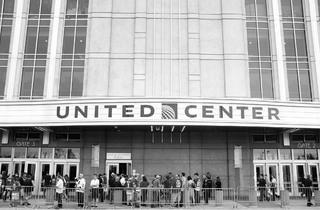 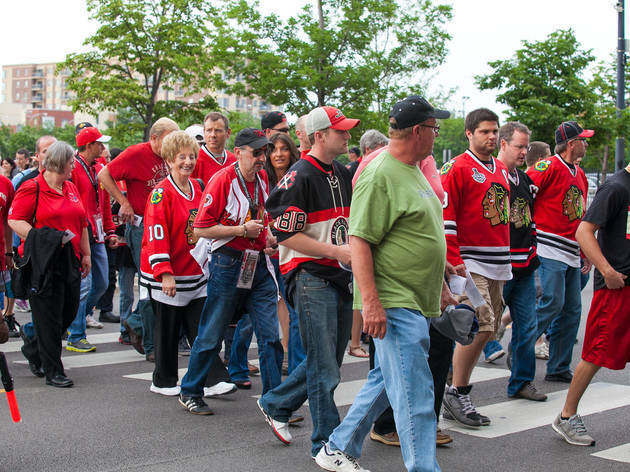 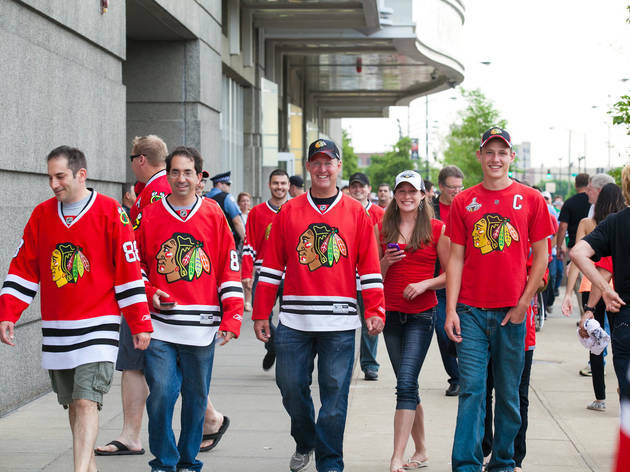 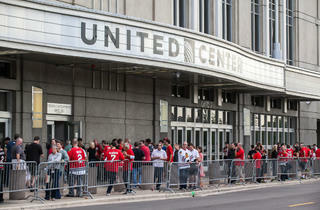 Photograph: Chandler WestFans gather outside the United Center before game 5 of the Stanley Cup Finals on Saturday, June 22, 2013. 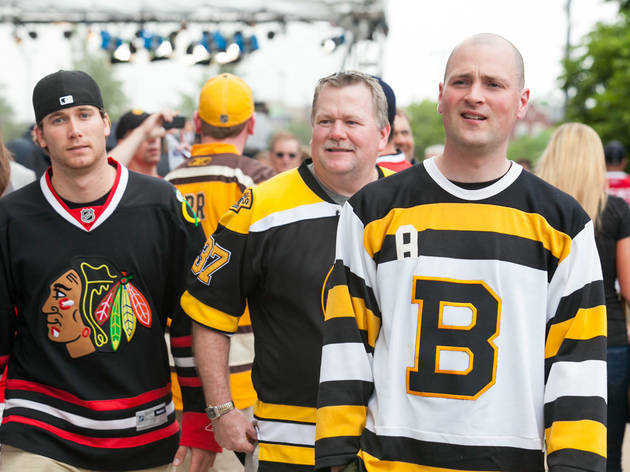 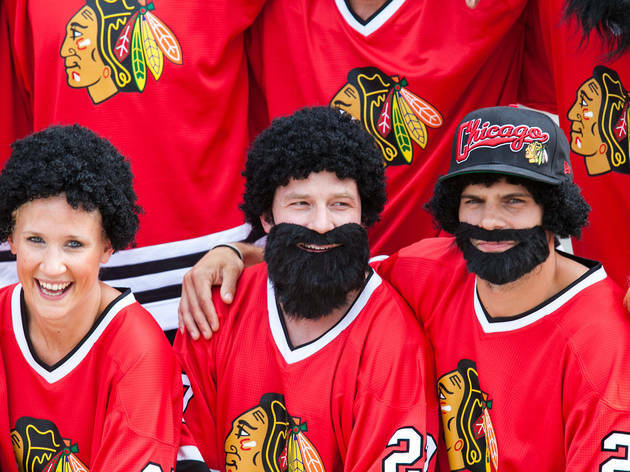 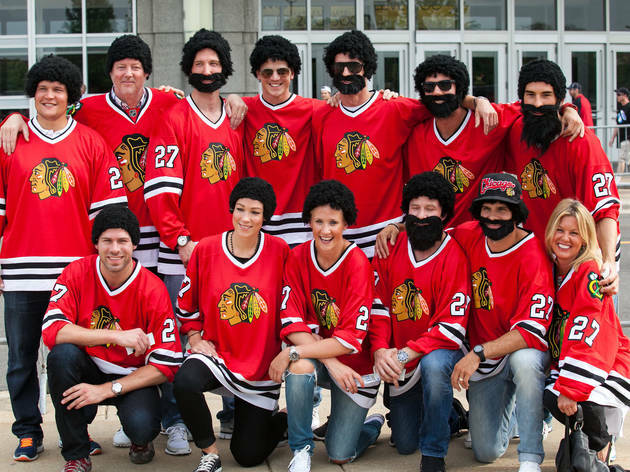 Blackhawks fans must have been anxious about their team's chances against a strong Boston Bruins in the Stanley Cup finals on Saturday, but you can't tell by looking at them. 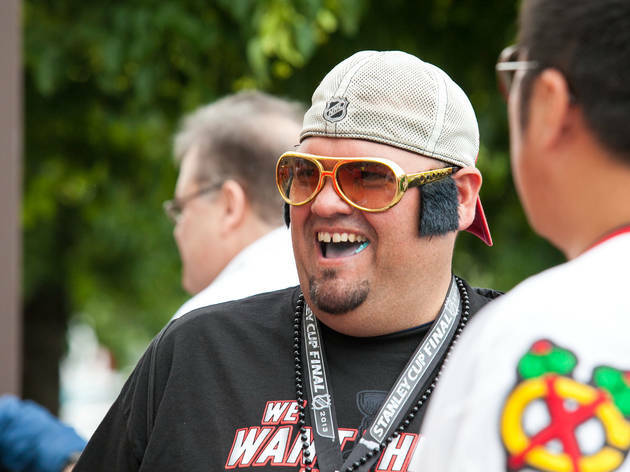 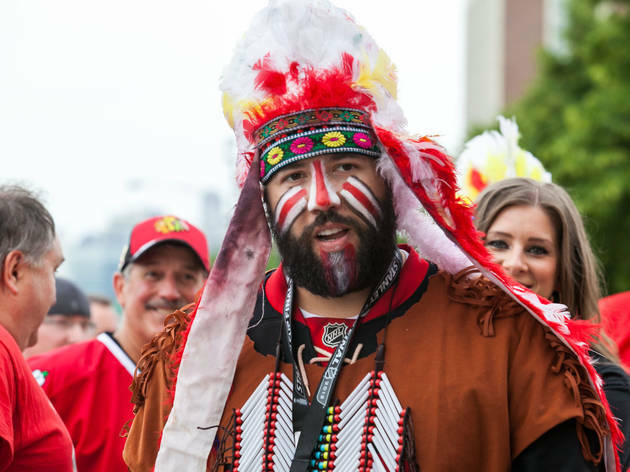 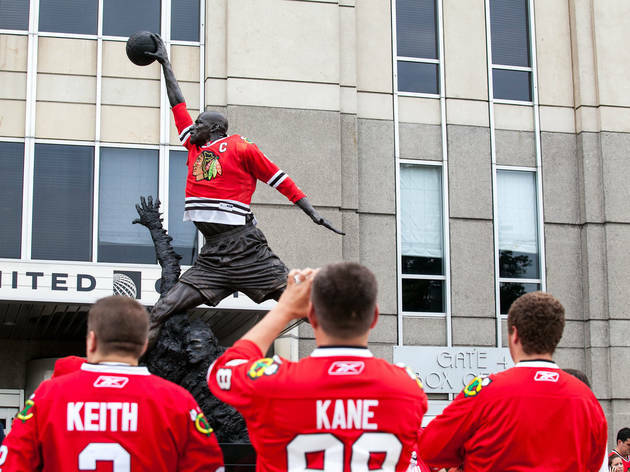 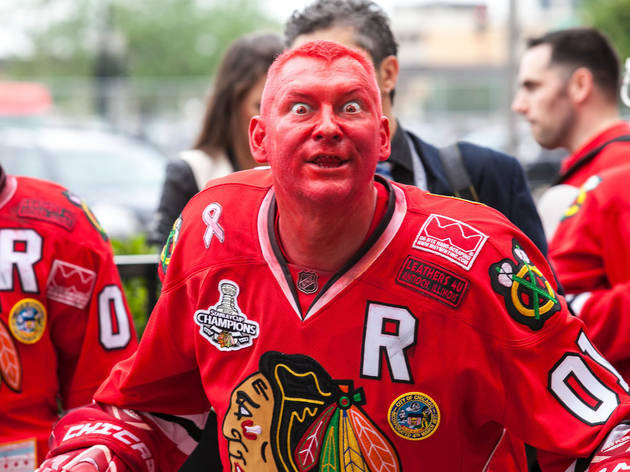 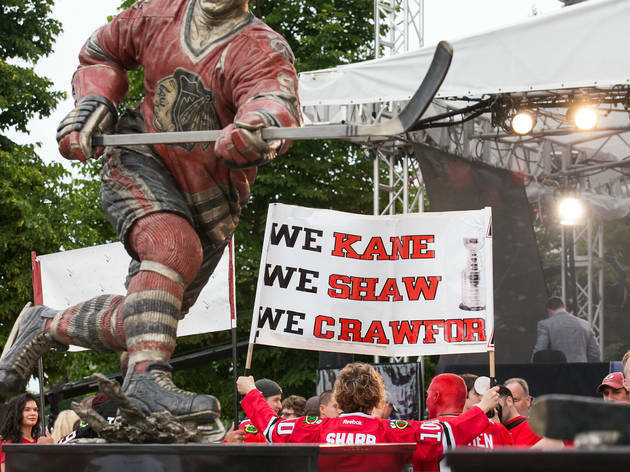 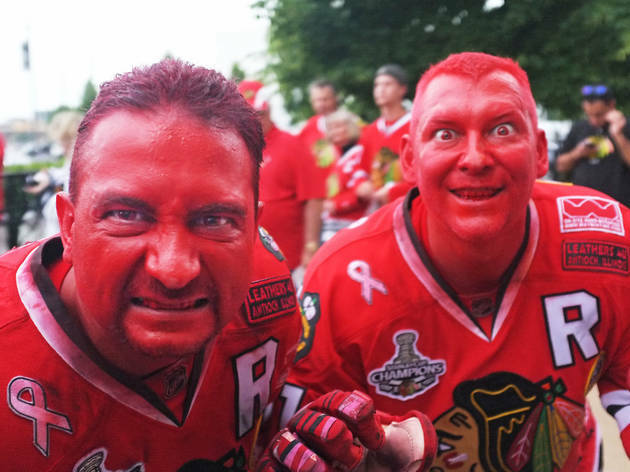 Check out our photos of the pre-game celebrations outside the United Center, complete with red-faced dudes who will haunt our dreams for years.